January 27 – Bern (Switzerland) – Solar Impulse meets PMI Members! A Project manager chasing the Sun ! The PMI Switzerland Chapter will host its Annual Members Meeting in Bern with special speech about the Solar Impulse project ! 2014 Annual members meeting brings one more opportunity for the chapter to present its yearly plans and achievements to its members. The members will have the opportunity to meet the new board members elected by this time. 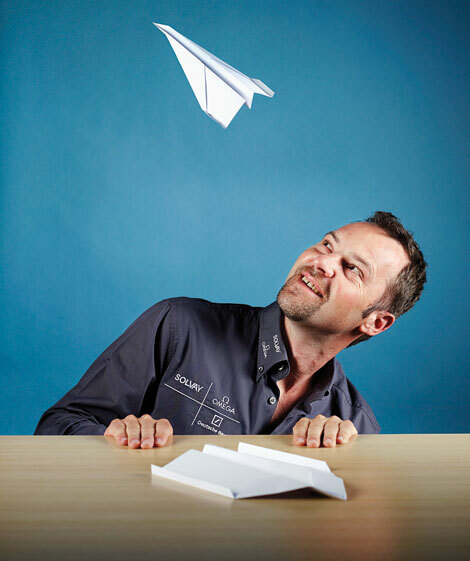 We are pleased to inform you that we are having Philippe Lauper, the first Project Manager to join Bertrand Piccard and André Borschberg to create this amazing sun powered plane. Solar Impulse is a project that consists in flying around the world with an airplane using solar energy only. The Solar Impulse team achieved a first crucial milestone in summer 2010 by successfully completing the first ever day & night solar flight with their HB-SIA airplane. After that « première », the team flew SIA to several international destinations like Ouarzazate in the Moroccan desert in 2012 and crossing the USA in 2013. The team is currently working hard on the integration of the second airplane HB-SIB that is planned to be operational for the round-the-world flight in 2015. Unlike the industrial world that benefits from standardization, such an adventure requires specific customization of most project management processes. How to manage a non-profit organization that is structured like a traditional company? How to manage an organization that is entirely funded by sponsors and partners? How to manage an organization which objective is to achieve goals that nobody achieved before and that most people believe to be impossible? devriez-vous embaucher un Chef de Projet indépendant ? …ça dépend !